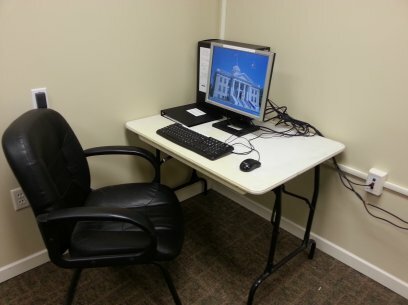 Box Elder County now offers a FREE public legal research computer terminal! Citizens of Box Elder County now have access to -- the most advanced online legal research database available. Users can easily access statutes, case law, legal encyclopedias, and other helpful legal resources using Westlaw's user-friendly search engine. Users are also able to e-mail any documents to their personal e-mail. The public research terminal is only capable of accessing the online legal database. Consequently, you will not be able to access any other websites, including your e-mail from this computer. If you need to access the internet, please visit the Brigham City Public Library next door to the courthouse. You will not be able to print anything. The public research terminal is not connected to a printer. Therefore, you will not be able to print anything. You can, however, e-mail a document to a personal e-mail address. If you plan to do so, please set up an e-mail account prior to using the terminal. No one will be available to assist you. Please do not ask any of the county employees for assistance because they will not be able to help you. There is a user guide available in a black binder next to the computer which provides step-by-step instructions for many tasks. Additionally, you can access tutorial videos here (PLEASE NOTE: you will need to create a free OnePass account to access the videos). If others are waiting to use the public research terminal, please limit your time on the computer. Additionally, in an effort to not distract the employees and other visitors, please keep any noise to a minimum. If you have any comments or feedback about this service, please let us know by clicking here.